On December 12, 2003, the then-Adjutant General, MG Robert Lee hosted a Christmas reception. The reception was held at then-Hickam AFB in one of the large hangers. There was food and refreshment for members and families of the Hawaii National Guard. One of the highlights was a chili cookoff between several Guard teams. 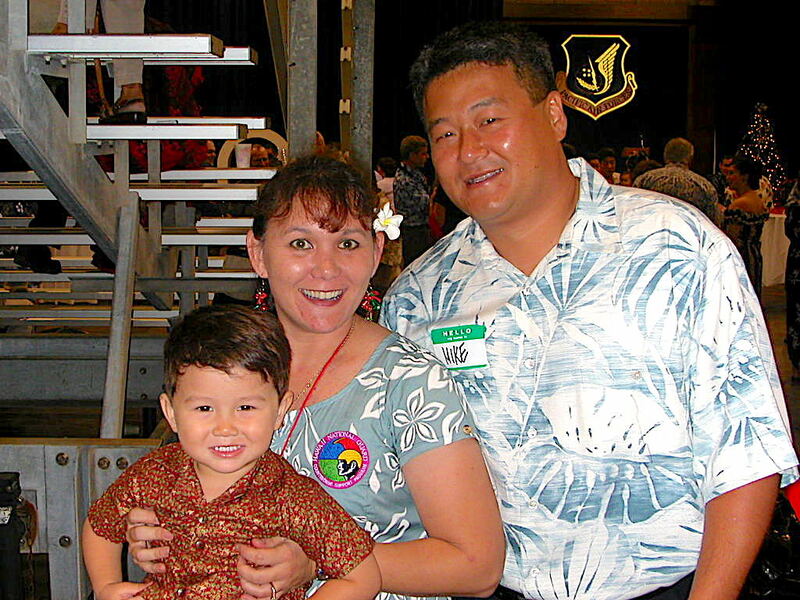 The photograph shows Tamahlani Noh, her husband Michael and their son. Tama ran the Hawaii Guard’s drug interdiction programs for many years. Her last military assignment was the 154th Wing’s Inspector General before her retirement.